Looking for a new snack idea that will be the perfect match for picky kids (and adults??) 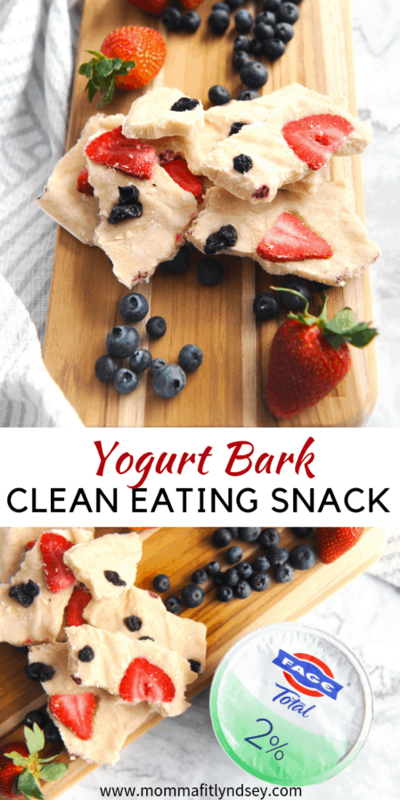 This fruit, nut & yogurt bark is one of my favorite snack ideas for kids! This post is sponsored by Everywhere Agency on behalf of FAGE; however, all thoughts and opinions expressed are my own. 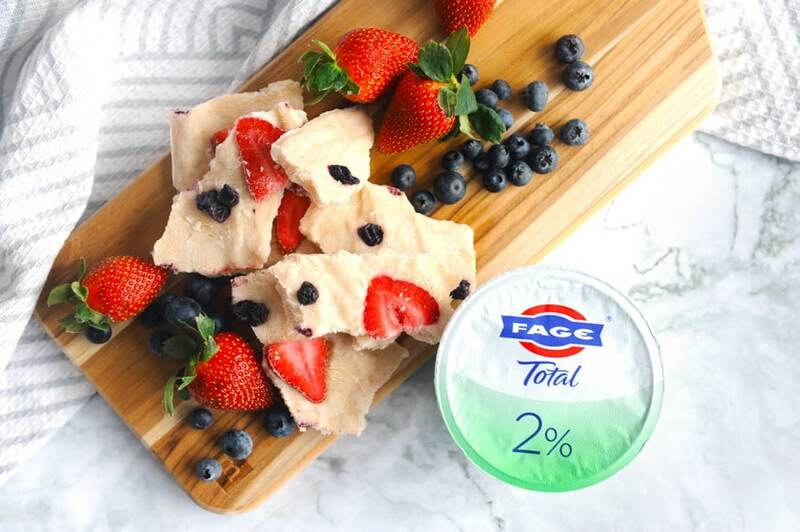 Snack or Dessert, FAGE Total 2% Makes Both a Perfect Match! When a snack doubles as a dessert, I’m down! 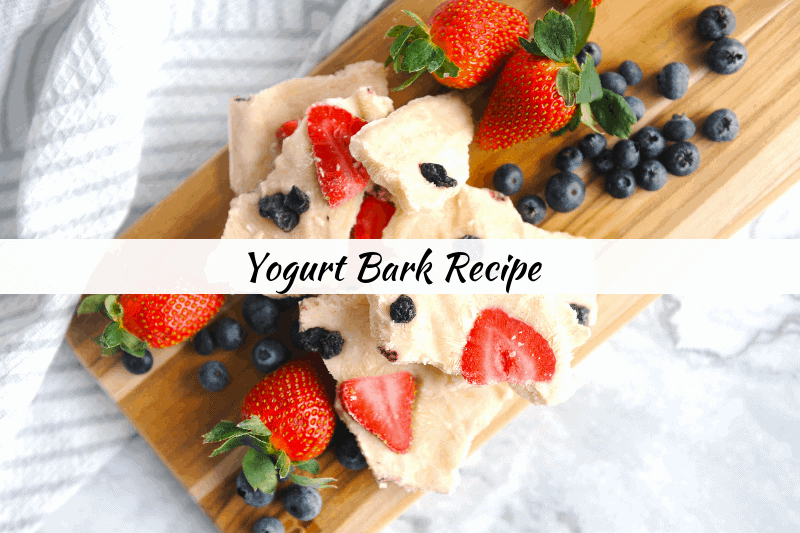 FAGE Total 2% yogurt is the perfect canvas for this yogurt bark recipe! It’s rich, creamy and delicious texture and flavor makes it so versatile! When you add in some delicious and nutritious toppings like fruits, nuts and nut butters, you have a perfect snack or breakfast! I’m very particular about the brands of food I give to my kids. I also love that FAGE is a brand I can trust. FAGE Total 2% is Non-GMO Project Verified and additive and preservative free. How Your Whole Family Can Eat Better! Teaching kids to make better food choices is so important. 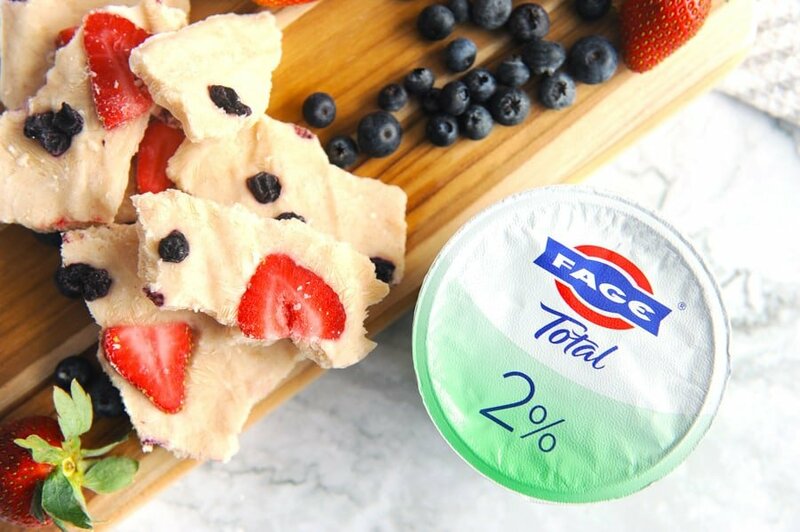 FAGE Total 2% is such a versatile base for better snacks and breakfast. 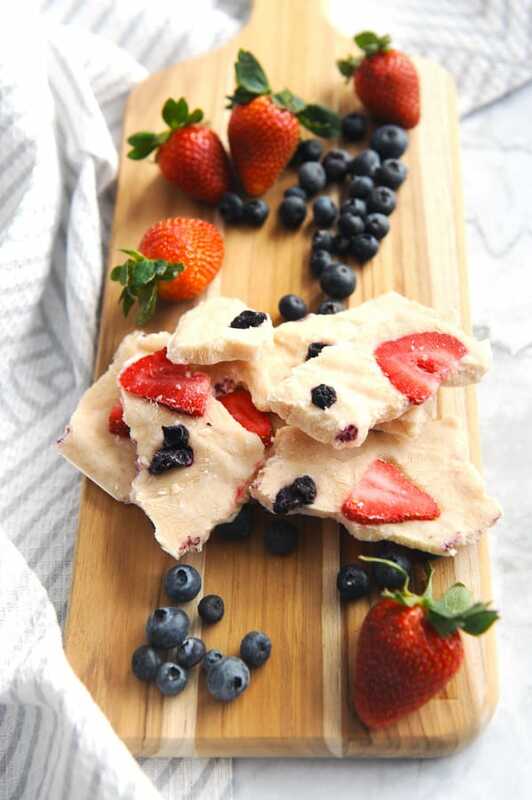 Even the pickiest eaters will find this yogurt bark to be a winner! When I can get some gut-healthy active cultures in my diet, I’m thrilled! Luckily, FAGE Total 2% is made only with milk and live active cultures. I also love to use FAGE Total 2% with fruit and nuts for a healthy breakfast. 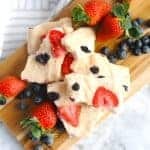 Adding in protein packed almonds and antioxidant-rich and low-glycemic berries makes this recipe great for my breakfast or a snack for my kids! 1. Line a baking sheet with parchment paper. 2. Combine yogurt, honey and cinnamon in a large bowl. Spread the yogurt mixture onto the baking sheet. 3. Place berries into yogurt. 4. Freeze for 4 hours or until firm. Break into pieces to serve. 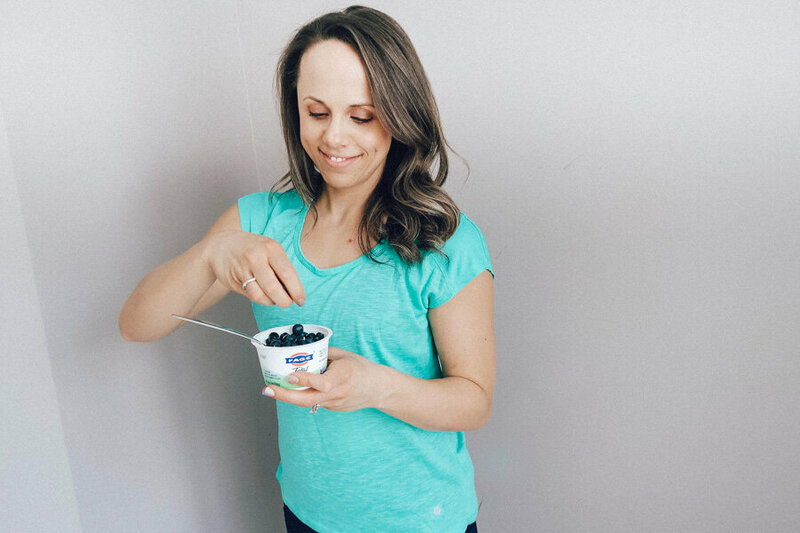 If you are looking for an easy breakfast that is good for you, FAGE has you covered! Check out even more FAGE recipes here! 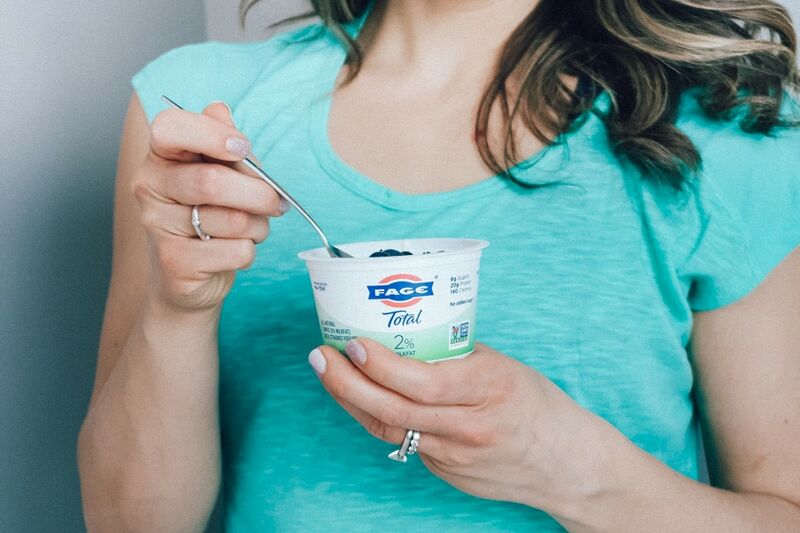 Have you tried greek yogurt in a snack or breakfast yet? What is your favorite topping? Tell me about it in the comments! Success! Now check your email (or junk mail!) to confirm your subscription.